RME provides solutions to clients who are looking for quality heavy equipment. 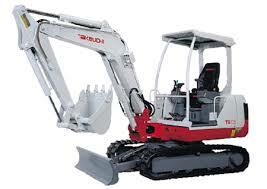 Hire our 3.5 tonne excavator in Perth for your project. We can provide a well-trained and experienced operator to help you get the job done in a quick and efficient manner. WHAT CAN OUR 3.5 TONNE EXCAVATORS DO? Having a little more grunt, our 3.5 Tonne excavator can dig through harder surfaces like clay more easily and breaking surfaces like road-base with our Rock-Breaking attachment.